I smoked the cheese for 1.5 hour in my Bradley, with my A-MAZE-N smoker tube full of hickory and apple pellets. I struggled to keep temp below 90 degrees, even with 5lbs of ice and several ice packs. 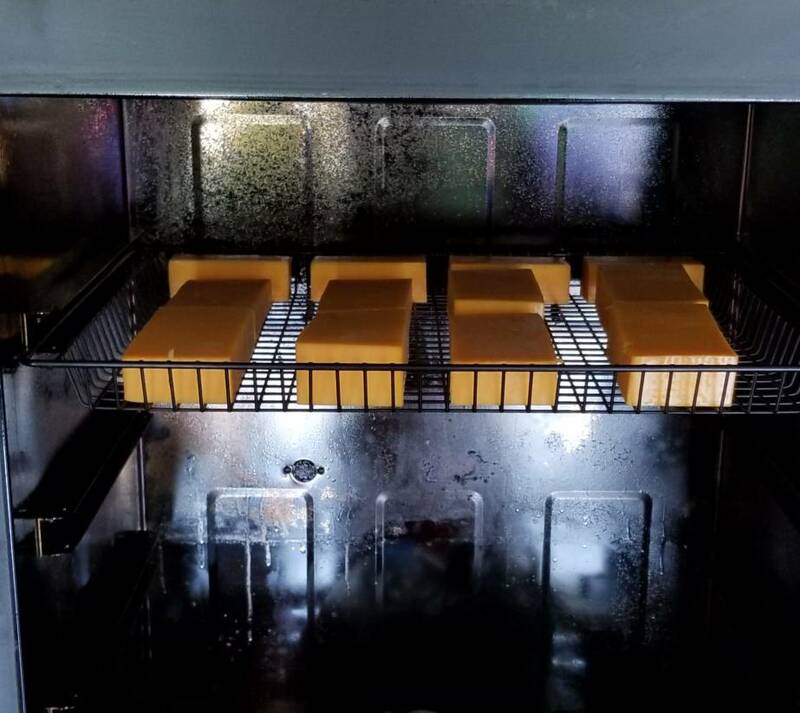 The cheese did sweat quite a bit, but did not melt any, or stick to the grates. Gonna try to let it rest for 3-4 weeks before I dig in. If the project was a success I'm planning to make some for Christmas gifts in August, that would give a little over 3 months to mellow. I did use cheaper cheddar cheese for this first run. 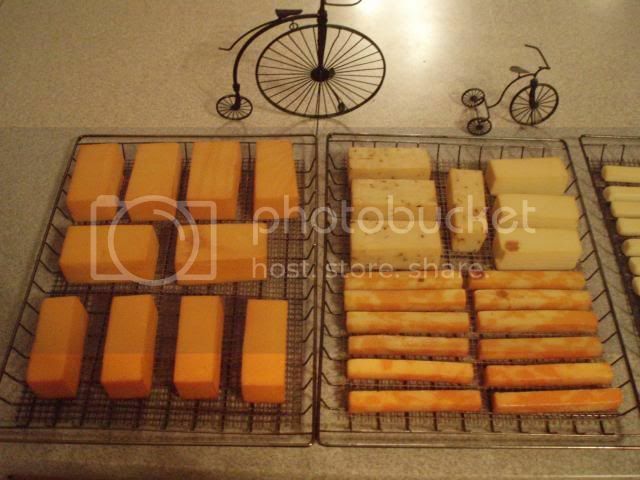 I plan to do a better grade of "aged cheese" for gifts. What would be a good cheese and wood combination to impress folks. Oh, how long to smoke, you know these smoke tubes make "5 alarm smoke!!" They look great good color, blooming is the best I let mine go for two weeks, I use the cold smoker so I don't have the temp problems I smoke for two hours mostly hickory. Looks pretty good. 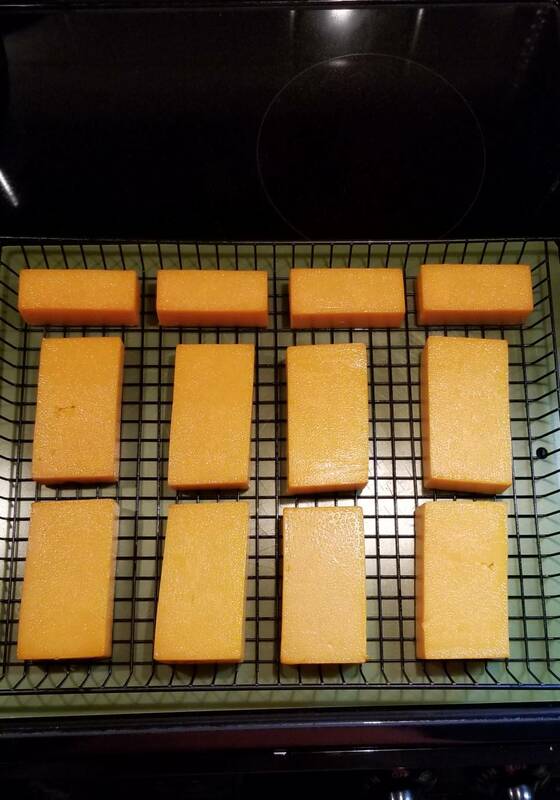 I only do cold smoking during the winter, since it's hard to keep the temps down without melting the cheese, even with my A-Maze-N pellet tube. I use Frogmats on the Bradley grates to keep things from sticking. Thanks a bunch, what cheese would suggest to smoke for Christmas gifts, and what type wood. I will probably give it a shot late August or September, I may even go with a cold smoker attachment. Hopefully this batch will be ok? 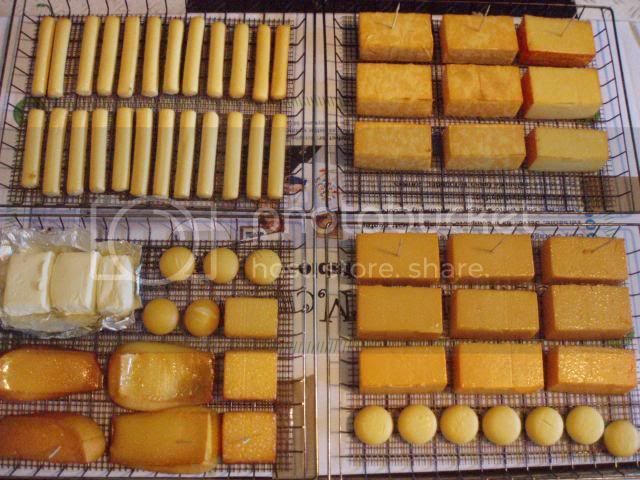 Here's a list of the different cheese in the previous pic I posted. My wife selected a handful she likes and I selected a few. I like things more on the spicy side than she does. They were smoked with 3 hours of cherry pellets. day 2 another 8h, i use alder, then i put cheese vacuum and fridge and rest minimum 2week. I use creamy cheese, soft.